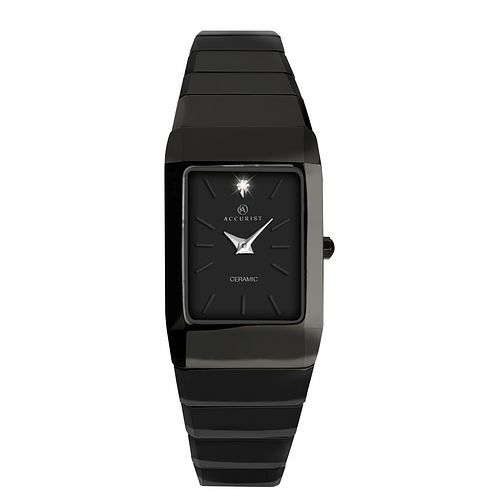 Accurist ladies' slimline black ceramic bracelet watch featuring tear drop shape sparkling stone set detail at the top of the rectangular dial. A stunning and chic ladies' timepiece. Accurist Ladies' Black Ceramic Bracelet Watch is rated 4.7 out of 5 by 3. Rated 4 out of 5 by Anonymous from Good value for money Good quality and excellent time keeper. More silver black than black to look at so not quite as expected.